Faith is ready to stop hiding in a really cold office and start superheroing again in Faith: Dreamside. Faith is back! After both her blockbuster ongoing series and the Future Force miniseries came to an end last year, Valiant’s high-flying psiot superheroine has been laying low for a bit. But now she’s ready to return! Faith writer Jody Houser told us what to expect from the new series and io9 has an exclusive first look at Faith: Dreamside #1. The primary cover for Faith: Dreamside #1, featuring Faith, Dr. Mirage, and Animalia. To learn more about Dreamside and what it was like not just returning to Faith’s adventures, but teaming her up with another beloved Valiant heroine, io9 recently chatted with Jody Houser over email. Check out the full interview below, as well as a sneak peek of Faith: Dreamside #1, debuting exclusively on io9! io9: Faith went through a lot by the climax of her last series. Where does Dreamside pick up on that front, as Faith struggles to balance being a hero and being framed for murder? io9: What does it mean to you to be returning to Faith as a character now? Why was this the right time to pick her story back up? io9: You’re also working with MJ Kim for the art on this series. What’s that process been like for you? io9: You’re also getting to write Doctor Mirage in this series, who’s been away from Valiant’s spotlight for quite a while - what’s it been like getting acquainted with her as a writer? io9: What can you tell us about what brings Doctor Fong into Faith’s story? io9: Faith and Doctor Mirage are, personality-wise, very different. What is their relationship together in Dreamside going to be like? io9: Doctor Mirage’s typical purview and the titular realm of the dreamside aren’t really the sort of threats that Faith has dealt with before. What’s her reaction to dipping into the supernatural side of the Valiant universe? Houser: We established in the ongoing series that horror is Faith’s least-favorite genre. After she finally got to have her time travel adventure, thrusting her back into the type of mission she’s least comfortable with felt like the right move. But no matter how terrifying the enemy she faces, she’ll do what she must to save the innocent. 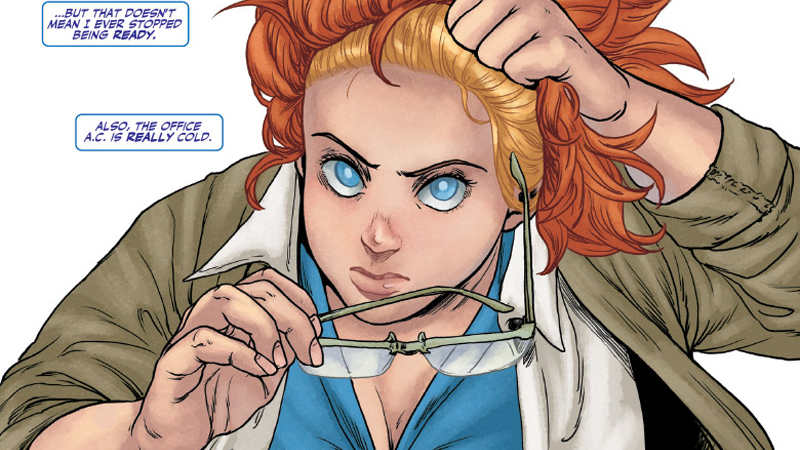 io9: It feels like Faith has become one of Valiant’s most beloved heroes lately, especially with the rumors swirling around her making the jump to Valiant’s live-action plans. As someone who’s played such a big role in her rise, what’s it’s been like seeing fans embrace Faith as a hero? io9: Dreamside is being planned as a miniseries from the get-go. Do you have plans to keep writing Faith beyond this? Faith: Dreamside #1 hits shelves September 26.